There was a boy named Bob. Bob really loved apples. One time, he took a basket full of apples and ran to his house behind the owner of the apples. The owner saw Bob running back to his house and didn't ran after. Why? The basket of apples are free. 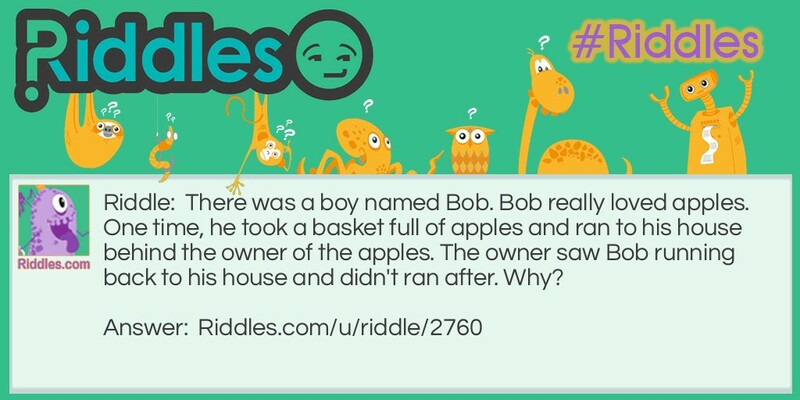 Bob Took Apples Riddle Meme with riddle and answer page link.